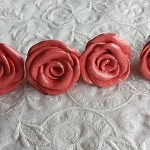 The roses that never die~ These are handmade ceramic roses by me. One of my most popular items for over 10 years! Price is 6.00 each for this size~Other sizes available. They measure each about 2" across by 2 1/4" long Other sizes available too. from 1" to 4" across..please contact me for prices. 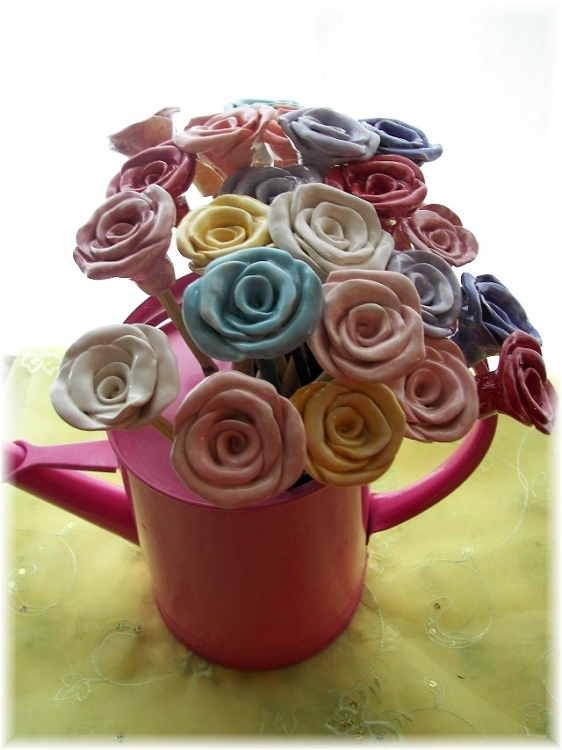 They will forever bloom and will add to your decor something pretty. 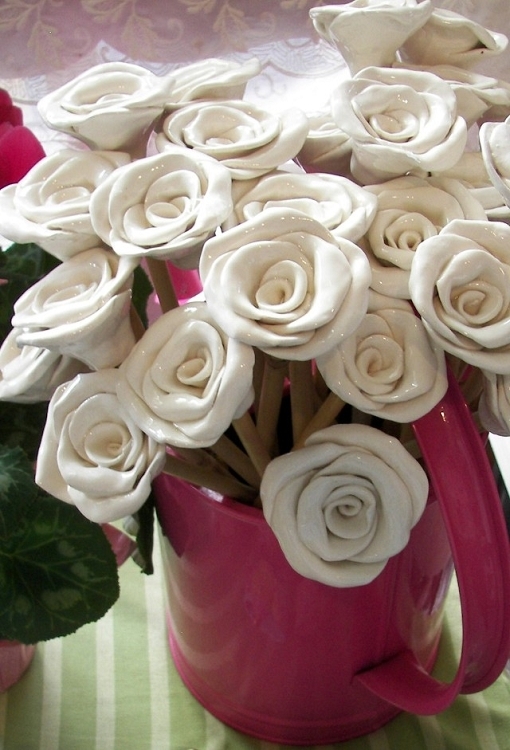 Each rose is fired, then cleaned, then glazed and fired again, then I put them on an 12" bamboo stem. OR I also have flat ones Shown here in white, available in any color, pinks, blue, yellows. Please contact me your color choice or if you would like a special price for quantity a dozen or more, for international shipping too.